Whether it’s a white gold, silver or platinum diamond ring, an eternity ring is a wonderful symbol of eternal love. A blend of elegance, class and sentimentality, a diamond eternity ring is a great way to celebrate a special anniversary or occasion. Diamond eternity rings are a popular gift given to mark a special wedding anniversary or milestone for married couples. 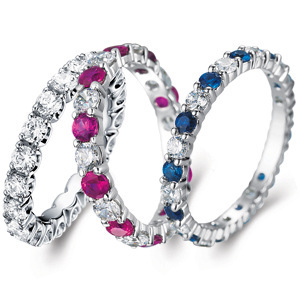 Designed especially for this purpose, eternity rings come in a wide range of styles to suit any taste. Traditional designs often feature small stones which run across the face or around the whole ring, symbolising a never ending circle of commitment and love. An eternity ring is normally worn alongside a wedding band and/or engagement ring. 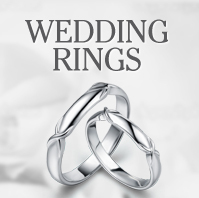 The most popular choice is to opt for a ring that matches and complements with existing jewellery. When choosing the style of your diamond engagement ring, consider how many rings will be worn at any given time. If you are celebrating a special anniversary, you can choose to have a diamond eternity ring which features a precious gem stone. Each landmark year has a representative stone, so choose according to the anniversary you are celebrating. Some choose to have a three or five stone Trinity diamond eternity ring. Featuring one large diamond set between two smaller (three) or five diamonds of a similar size (five), this style engagement ring is ideal for those looking for a more modern eternity ring. 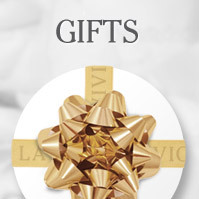 At La Vivion we have a wide range of stunning diamond anniversary and eternity rings for you to choose from. 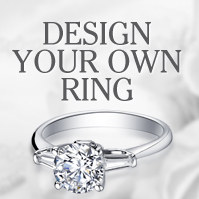 Create your own using our Design Your Own ring tool, or talk to our team of experts for advice on the perfect ring to suit your tastes and budget.